Dana Falsetti is an international yoga teacher, writer, and advocate for living an authentic life that begins with self-love and leads to your beautiful, badass self. She has been recognized by millions across social media for her message: anybody can practice yoga and everybody has a right to be their true self no matter what body they are in. Her strong and patient teaching style offers clear instruction and relative alignment, allowing students to empower themselves by building body awareness. Her goal is to create a space where students feel safe to move freely and enjoy the process without expectation. Dana contributes to Well + Good and has been featured in media outlets across the globe including Shape, Upworthy, People, The Daily Mail, OM Yoga, Mantra, and more. She is a 2017 Shorty Award winner (recognizing excellence in social media) in the Health and Wellness category, and was recently named on OOOM Magazine’s list of 100 Most Inspiring. 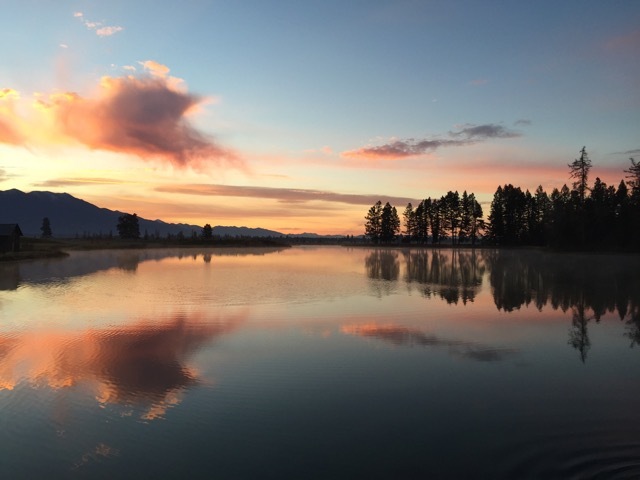 This workshop weekend is brought to you by Shanti Yoga Studio, and will be held at the beautiful Dancing Spirit Ranch in Whitefish. In this workshop, Dana will break down the vinyasa movement that you see in sun salutations and in most yoga classes. She will offer modifications for each step of the way, tips for different bodies, and show you how to tailor your vinyasa to your personal practice. Focus will be on controlled movements, alignment, and connecting shapes. This workshop is suitable for total beginners and intermediate students looking for a different perspective. Many well-seasoned students come and learn something new. This is the perfect workshops for those who practicing at home or in a studio and want a chance to evolve their personal practice in a more in depth way, with further attention to detail. A workshop exclusively for yoga teachers. This is open to all teachers looking for ways to create a more inclusive class environment. Dana will share her experience as both a student and teacher in a larger body and different approaches to working with a variety of bodies. She will cover some of her favorite modifications or prop assists, and will address inclusive language and being mindful and conscious of what we say as teachers. Appropriate for anybody with an open mind, looking for a different perspective, or seeking to foster a more inclusive environment. This workshop also functions as a Q+A with Dana, so feel free to bring the questions you might not know who/how to ask about teaching larger bodies, body image, etc. and get some honest answers in open dialogue. We will discuss intention, authenticity, and more. Never been upside before? Have no fear! In this empowering workshop, Dana Falsetti shares her story and demystifies the fundamental shapes essential to supported headstand. the hardest limits don’t exist in your body, but in your mind. Dana dives deep into alignment, helping you build foundations that maintain a strong and safe practice for years to come. We will focus on how to find balance and build stability instead of just kicking upside-down and hoping for the best! Dana gives you tools and encouragement to explore your practice every step of the way, so there is no pressure to get upside today or any day. Advance registration is required: http://www.shantiyogamontana.com/classes/ >> select the workshop you would like on the calendar, register and pay online. Out of town students, consider staying on site at Dancing Spirit Ranch, its spectacular! Give yourself the opportunity to unwind, re-energize and open your heart on this extraordinary week-long yoga retreat.